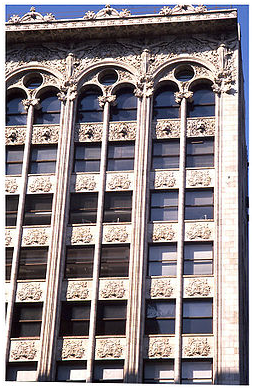 American architect Louis H. Sullivan designed many buildings in turn-of-the-century America, including some of the first skyscrapers (Figures 2, 3, & 4). These high-rising edifices represented a new age of possibilities and hope; however, before designing skyscrapers, Sullivan’s imagination soared with the lofty ideas shared by his contemporaries. Walt Whitman, Herbert Spencer, and Hippolyte Taine expanded Sullivan’s intellectual horizons and fostered his ambitions. These idea men served as his mentors and motivated him to aspire higher, which eventually influenced his architectural designs and professional writings, thus inspired a rising generation architects. Likewise, librarians can gain inspiration from Louis Sullivan’s reading experience and professional career. First, librarians can act as mediators and introduce patrons to authors who then act as mentors. Second, experienced librarians can recommend reading material to young professionals in the field that enhances their professional development. Third, experienced librarians can serve as mentors by writing books and articles that inspire imagination and creativity while also challenging younger librarians to take risks. Additionally, Sullivan’s Autobiography of an Idea (1956) supports a thesis statement given by Barbara Sicherman (1989) that librarians should remember: “Reading is not simply a passive form of cultural consumption, that something happens to readers that becomes imperative for them to understand, and that reading stimulates desire rather than simply pacifying it” (p. 216). Reading the writings of some of his great contemporaries fueled a lifelong passion for learning in Sullivan that found expression his architectural designs as well as his writing, thus leaving a lasting mark on American architecture and culture. In this way Sullivan models the mentoring process: learning, acting, and sharing. Reading stimulated Louis Sullivan’s desire to become both an architectural poet and a literary poet. Throughout his life, Sullivan read extensively, and he made constant reference to the writings of contemporary authors in his book, The Autobiography of an Idea. An agenda outlines itself as he describes a life-long engagement with lofty ideas from personal mentors and countless books. He admired poetry, particularly Walt Whitman’s, and considered himself to be more of a poet than an artist. Sullivan’s architectural designs embodied his poetic philosophies. The American Institute of Architects first published his autobiography in 1924, the year of his death, and Dover Publications later reprinted it in 1956, one hundred years after his birth. 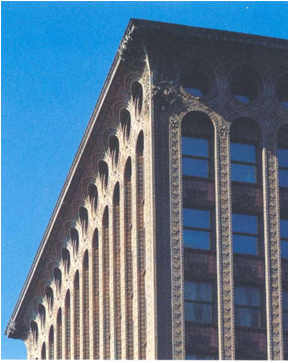 Success for Louis Sullivan came in the years before the turn of the century. His greatest architectural commissions were completed before the year 1900, and in the time period following his great fame he found time to write an autobiography and other essays. In an introduction to Sullivan’s Autobiography of an Idea, Claude Bragdon spells out the accomplishments of this esteemed American architect. Bragdon notes that while working with Dankmar Adler, Sullivan completed 100 architectural commissions “before he designed the Transportation Building for the World’s Columbian Exposition—the building from which modern architecture as a movement is generally conceded to have begun” (Sullivan, 1956, p. 2). At a time when other American architects heavily favored Renaissance and Classical architecture, Sullivan stood on the forefront of a different style. As an example, the White City in Chicago’s World Colombian Exposition exhibited American mastery of Classical architecture. Sullivan’s Transportation Building existed as the sole alternative to that style. Today Sullivan is best known for the architectural motto that “form follows function.” Sullivan wrote: “He held the conviction that no architectural dictum, or tradition, or superstition, or habit, should stand in the way of realizing an honest architecture, based on well-defined needs and useful purposes: the function determining the form, the form expressing the function” (1956, p. 6). Despite his early success and sizeable output, Sullivan’s career tapered off dramatically. Once he separated from the partnership with Dankmar Adler, who managed accounts and clients quite successfully, Sullivan only completed 24 commissions in the final 31 years of his life with five of them being large buildings and eight being Midwestern banks. It is in this setting where Sullivan writes his autobiography and describes the authors that mentored him, who he mentored, and in doing so, mentored the next generation. The focus of this paper will be on Sullivan’s readings, looking at how the authors he mentions in his autobiography served as mentors and deriving lessons that can be applied to current librarianship. Sullivan highlights three nineteenth-century minds that influenced him significantly: Herbert Spencer, Hippolyte Taine, and Walt Whitman. The first, Herbert Spencer, was a British contemporary of Charles Darwin and Karl Marx and propounded weighty scientific ideas, which provide a fundamental understanding of Sullivan’s core values regarding the individual’s place in the cosmos. The second, Hippolyte Taine, taught art history classes at the French Ecole des Beaux Arts, challenged Sullivan’s professional and aesthetic judgment as an artist and architect. Third, Walt Whitman, the celebrated American poet, captured Sullivan’s heart in a way that made him desire poetic expression, which is evident. “But the practical effect of the bridges was to turn Louis’s mind from the immediate science of engineering toward science in general, and he set forth, with a new relish, upon a course of reading covering Spencer, Darwin, Huxley, Tyndall, and the Germans, and found a new, an enormous world opening before him, a world whose boundaries seemed destined to be limitless in scope, in content, in diversity” (p.249). Indeed, Sullivan found in these thinkers’ writings “an enormous world” that helped distance himself from local confines and contemplate a broader, global sphere. These writings also transported him from the present to the remote past and future. Sullivan’s understandings of Charles Darwin and Herbert Spencer provided fodder for his own philosophies. “In Darwin he found much food. The Theory of Evolution seemed stupendous. Spencer’s definition implying a progression from an unorganized simple, through stages of growth and differentiation to a highly organized complex, seemed to fit his own case” (p. 255). These ideas impressed Sullivan so much that he would remain after work to discuss them with his young draftsman, Frank Lloyd Wright. Then he strongly encouraged Wright to take home and read a copy of Spencer’s Synthetic Philosophy (Connely, 1960, p. 128). In this way Sullivan followed the example of one of his personal mentors, John Edelmann, recommending influential books that would contribute to their young careers. In like manner, librarians can mentor less experienced individuals both within and outside the library profession. In today’s library world, mentoring less experienced library professionals receives attention in the literature. Academic librarians at Wake Forest University provide tips on how to develop an in-house mentoring program that need not cost any money. Panels of experienced librarians can be assembled within an organization to address questions about presenting at conferences, writing literature reviews, publishing, working on committees, and so forth. Additionally, organizing reading groups that put inexperienced with experienced librarians can also increase the mentoring that takes place. They write: “Ideal articles are those that are fairly short and practical.” Moreover, they suggest several ideas: “find material from nonacademic blogs or Web sites that cover mentoring topics in lieu of reading articles; read chapters from books or textbooks that the library already owns” (2012, p. 136). Reading plays a key role in shaping a professional’s career just as much today as it did in Louis Sullivan’s time. Librarians can learn from nineteenth-century writers, such as Herbert Spencer and Louis Sullivan who motivated each other through their writings and professional accomplishments. As mentioned previously, Sullivan influenced his younger, but eventually more renowned, draftsman Frank Lloyd Wright: “The pupil [Wright] at length agreed that even Herbert Spencer, added to Walt Whitman, make ‘not such a strange pair to draw to.’ That heavy volume of Synthetic Philosophy, lugged home to Oak Park, had left its dent, after all” (Connely, 1960, p. 131). As the mentor, Sullivan had recommended that Wright read Herbert Spencer’s works. Those being mentored can choose to act on these recommendations, and, like Wright, some will. Working one-on-one with individuals, mentors can increase their influence in the profession. Herbert Spencer (1889) advocated the status of the individual over that of society in his Synthetic Philosophy. Societies, he says, were unlike their individual members for they could not reason or feel. He explains: “All the units possess the capacities for happiness and misery in approximately equal degrees. As there is no social sensorium, the welfare of the aggregate, considered apart from that of the units, is not an end to be sought” (p. 391). Sullivan also believed in the capabilities and primacy of the individual, particularly his own ability to grow and develop. He writes: “Thus, Louis, while still in a haze, felt the courage to go on. He had been reading the works of men of matured and powerful thought, way beyond his years; but what he could grasp he hung on to” (Sullivan, 1956, p. 255). Like Sullivan, today’s mentored librarians can become intellectual participants in the theoretical and practical discussion with the profession. Thus, they will feel a part of something larger—a forum of individual thinkers within an active profession that serves the broader society. According to Sullivan, all of the social and technological factors that contributed to make widespread reading a reality in the nineteenth century gave individuals “courage” to dream and to think. Louis Sullivan subscribed to American democracy, believing that it supported the individual’s cause. In contrast former socio-political systems had inhibited individuals: “For [the world] has ever turned its back on Man” (p. 271). Nonetheless, in his view, America still had not achieved true democracy, rather it had begun developing a new form of feudalism—corporate capitalism. Historian Robert Twombly (1988) writes: “Sullivan therefore preached the gospel of individualism, but not to the same purpose as Social Darwinists or apologists for untrammeled capitalism. He argued that democracy’s removal of political constraints on spiritual and intellectual opportunity obligated people to act for their own, and therefore for the social, good” (p. xvi). In the United States, a person could work in a politically unfettered society and accomplish much. For a time, Sullivan thrived in this environment and acted to assist others. Librarians’ one-on-one interactions may yield more enduring results as it appears that they did for Sullivan. In his autobiography (1956) he mentioned John Edelmann as a friend who introduced big ideas from Schopenhauer, Wagner, and Carlyle to him, thus motivating him to read more (p. 209). As mentioned earlier, Louis Sullivan remained after work to talk face to face with Frank Lloyd Wright (1960, p. 160). Evidently, Sullivan took interest in another individual much like his mentors had done years earlier with him. Such an investment bore rich fruits as Wright became one of the world’s most esteemed architects in the twentieth century. Obviously, librarians can mentor other librarians, but many also have an opportunity to guide individuals outside the profession. One-on-one mentoring seems to be the most effective mentoring model. As a graduate student in humanities and fine arts with an emphasis in museum and library science Dara Lohnes (2011) wrote about her experience in the Jerome (Idaho) Public Library when she served on their board of teens, known as the YAC. Like Sullivan and Spencer, Lohnes and her mentor, Tina Cherry, learned firsthand the power of individuals. Cherry organized the teen group so that the teens assumed responsibility. By inviting their friends and classmates, the library programs attracted more people to events. The board of teens chose the kinds of programs they wanted with many ideas generated purely among themselves or adapted from outside organizations. Cherry did not require that programs focus exclusively on books or reading. She says: “I think that when libraries feel that they need to relate everything they do to literacy and education, they’re putting the cart before the horse. You’d be surprised at how many books I managed to push out of the library one on one!” (par. 5). When librarians value teens, or patrons in general, they can observe their needs and interests individually. For example, the teen advisor began to gain a sense for the needs and interests of individuals within the group, and when one-on-one conversations arose the librarian could casually recommend a book that matched that particular individual. Lohnes writes that the teen program expanded as did Cherry’s involvement: “That is when she says her most rewarding experiences occurred. Some examples are when she was able to send home the ‘perfect book’ for each reader by doing what she calls ‘booktalking.’ She got to know a non-reading teen and found a book for him to try reading just for her and had him come back saying; ‘I (he) loved it! Is it a series? !’” (par. 9). This only occurred after the success of the teen-run program had developed. Teens and other library patrons allow librarians to mentor them once a relationship of trust has been established. For librarians, seeing the spark of interest in reading convert itself into a flaming fire can be rejuvenating. Even Louis Sullivan (1956) experienced a passion for reading: “He set forth, with a new relish, upon a course of reading” to understand the great names of his age (p. 249). Most people engage in reading as individuals; however, this activity cannot be wholly separated from communities. Elizabeth Long (1993), a professor of sociology at Rice University, writes: “Even beyond formal socialization into reading, the habit of reading is profoundly social. As mid-[twentieth]-century American empirical studies of adult reading show, social isolation depresses readership, and social involvement encourages it” (p. 191). Librarians in Idaho can establish and foster reading communities, but accomplishing this eventuality may require a more methodical one-on-one approach, rather than a quick, one-time, one-size-fits-all program. Today’s librarians can learn from the reading experiences of Louis Sullivan. According to his autobiography, Sullivan (1956) read three volumes of Hippolyte Taine’s history of art in Greece, Italy, and the Netherlands while studying in France at the Ecole des Beaux Arts. Taine introduced him to the idea that there was such a thing as a philosophy of art, that art reflected the lives of its people, and that a person needs to know that culture well in order to truly understand their art (p. 233). Therefore, Taine’s Lectures on Art stimulated Louis Sullivan to think about architecture in broader historical and philosophical terms, thereby contributing to his professional development. Reading Hippolyte Taine’s lectures in his early twenties proved to be a valuable and memorable experience, because it allowed him to view art beyond merely the technical aspects. As a teenager Sullivan had been taught technical skills of drafting, but he had not developed an art philosophy (p. 233). Library literature contains much in the way of practical application, which has great value, but expanding horizons into theoretical areas within and beyond the profession can advance one’s abilities to creatively tackle new and unexpected challenges. Taine’s text reached a receptive audience when it fell into Sullivan’s hands. Robert Darnton (1992), history professor and director of the University Library at Harvard, highlights the importance of knowing an author’s motives for writing: “But every narrative presupposes a reader, and every reading begins from a protocol inscribed within the text. The text may undercut itself, and the reader may work against the grain or wring new meaning from familiar words” (p. 158). Indeed, Sullivan appropriated many of Taine’s ideas while modifying others to suit his purposes, helping him to during his professional career. Books, and the ideas they contain, often inspire readers to action. For example, Hippolyte Taine’s lectures challenged Louis Sullivan’s ability to judge art and prompted him to test his aesthetic judgment: “In the volume on Italy, however, occurred a statement which struck Louis as of most sinister import to him: It alarmed him. It was to this effect: That, concerning the work of Michael Angelo [sic] in the Sistine Chapel, the Last Judgment was obviously done on momentum, as compared with the vigor of the ceiling” (1956, p. 233). Sullivan felt impelled to go and see if his aesthetic eye would notice the differences between the two masterpieces (Figures 7 & 8), because his future as an architect hinged on this skill. “It was vital. There must be no doubt. He must, beyond question, be sure of the quality of his eyesight. To Rome he went, quaking but courageous” (p. 234). In this instance, ideas encountered through reading moved Louis Sullivan to act, sending himself on a pilgrimage to Rome to test his aesthetic aptitude. He found that Taine’s assertion was true, that it was obvious to see the difference between Michaelangelo’s Sistine Ceiling and Last Judgment. Reading stirred Sullivan to learn and act in the first stage of his career. Then, in the second phase of his career it inspired him to write. Taine (1875/1971) talks only briefly about Michelangelo’s frescoes in the Sistine Chapel and does so to prove that all artists have two career stages. In the first stage each artist “sees things as they are” and examines them scrupulously in order to render nature as close to reality as possible, while in the second phase the artist stops analyzing “things” due to a belief that nothing unique will be found. At this point the artist begins relying on a personal set of standards developed over years of practice. Taine favors the first phase over the last. 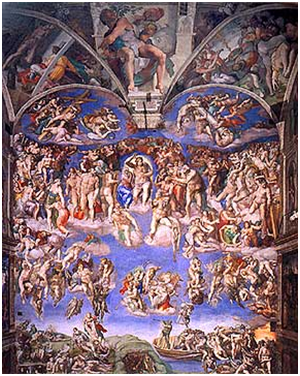 He describes Michelangelo’s work in terms of a “sentiment of force and heroic grandeur” (p. 43) After detailing the impressive character of the Sistine Chapel, Taine makes the following comment that compelled Sullivan to travel to Rome: “Connoisseurs, and those who are not, recognize at once that the two frescoes are executed according to rules” (pp. 42-43). Louis Sullivan aspired to greatness as a young architect, yet he also doubted that he would be able to recognize great art. If such a misgiving were validated, then his entire career as an aspiring architect would crumble. Because he took the risk to verify his own aesthetic eye, he turned his insecurity into self-assurance. Young library professionals, like their counterparts in other fields, typically face insecurities in the first stages of their careers. Librarians in more advanced stages can mentor them; however, risks need to be taken occasionally in order to earn confidence. Success will not come without effort, and learning from failure sometimes contributes to one’s experience more than success. Librarians can seek out books that are professionally challenging, just as Taine’s art history book tested Sullivan. One such book might be Rosamund Stone Zander and Benjamin Zander’s national bestseller, The Art of Possibility: Transforming Professional and Personal Life. Speaking from backgrounds in family therapy and classic music conducting, the authors invite readers to adjust their attitudes about people and life, offering illustrative anecdotes to underscore their main points. They describe the practice of “Giving an A” in these terms: “It is a shift in attitude that makes it possible for you to speak freely about your own thoughts and feelings while, at the same time, you support others to be all they dream of being” (p. 26). Such a paradigm shift can be quite enabling as it opens up many possibilities, regardless of a person’s career or life stage. To go further, the Zanders explain the idea of “being a contribution.” As with their other concepts, this one is described as a game with rules. By doing so, they do not trivialize the activity, rather they explain the value of a game in terms of how we approach it with all its possibilities. Games by their very nature transport participants, “whisking us away from the grimmer context in which we hold the everyday” (p. 58). Therefore, “being a contribution” has a couple of rules: “1. Declare yourself to be a contribution. 2. Throw yourself into life as someone who makes a difference, accepting that you may not understand how or why. The contribution game appears to have remarkable powers for transforming conflicts into rewarding experiences” (p. 58). In essence, by improving or serving others the contributor becomes ennobled. Hence an experienced librarian who assists newcomers within the profession will likely gain from their youthful energy just as much as the newbie accepts wisdom from the mentor. Hippolyte Taine (1875/1971) mentored Sullivan, explaining that “exact imitation” really does not define a piece of art, but art depends on its “intellectual” not its “mechanical” characteristics. Taine wrote: “It is essential, then, to closely imitate something in an object; but not everything” (pp. 51 & 56). Sullivan (1956) takes a harsher view against imitation and claims that his antipathy toward it originated in high school. He writes: “And this is all that he gathered from the ‘Orders’—that they really were fairy tales of the long ago, now by the learned made rigid, mechanical and inane in the books he was pursuing, wherein they were stultified, for lack of common sense and human feeling” (p. 187). To be sure, his aversion to imitation may have begun as a teenager; however, Taine’s commentary on the issue likely caused Sullivan to reaffirm his belief that imitation should not be the artistic standard. His architecture stands today as a testament of his commitment to artistic originality. By challenging the younger generation, mentors can shape the future, providing them means to soar above the accomplishments of the current generation. Louis Sullivan relished the ideas he discovered in the books of his day; he did not find life in the old ideas. Conversely, his contemporary architects in America clung tenaciously to old styles, but Sullivan (1956) would not be dissuaded from a more liberal ideal: “And he was told that these ‘Orders’ were ‘Classic,’ which implied an arrival at the goal of Platonic perfection of idea. But Louis by nature was not given to that kind of faith. His faith ever lay in the oft-seen creative power and glory of man. His faith lay indeed in freedom. The song of Spring was the song in his heart” (p. 187). For years American artists had mimicked what they perceived as Europe’s superior artistic styles, but Sullivan followed his heart and declared his own artistic independence, gaining the admiration of the next generation of American architects. It seems that Sullivan had developed his own art-of-possibilities attitude long before the Zanders did. Authors act as mentors. In this capacity Sullivan mentored younger architects in the final years of his life through his writings. He published articles in architectural periodicals of his day, which can be found in The Public Papers, an anthology compiled and edited by Robert Twombly in 1988. Sullivan’s extensive study of books was ingrained into his mind and found an outlet in his autobiography and essays. He admired Walt Whitman’s poetry, recognizing him as America’s greatest poet. Therefore, his reading of Whitman’s poetry inspired him to become America’s voice in architecture, so savoring his mentor’s words contributed to his development as a writer. “[Sullivan] so identified with the poet, whom he never met, that in 1887, while making change after laborious change on designs for the Chicago Auditorium because his clients could not decide what they wanted, Sullivan sent Whitman a soul-searching letter. “I, too, ‘have sweated through fog with linguists and contenders,’” he lamented, quoting the poet. “I, too, ‘have pried through the strata, analyzed to a hair.’ Reaching for the basis of a virile and indigenous art.” Whitman did not reply, but is said to have cherished the letter” (p. xvii). “There was a child went forth every day, And the first object he look’d upon, that object he became, And that object became part of him for the day or a certain part of the day, Or for many years or stretching cycles of years […] These became part of that child who went forth every day, and who now goes, and will always go forth every day” (pp. 328, 330). Whitman’s conclusion points out that individuals, adults and children alike, go out into the world each day with the cumulative influences from the past. Similarly, a mentor’s ideas live on in the protégé’s career. “The poet is the sayer, the namer, and represents beauty. He is the sovereign, and stands on the centre. [. . .] The poet does not wait for the hero or the sage, but, as they act and think primarily, so he writes primarily what will and must be spoken, reckoning the others, though primaries also, yet, in respect to him, secondaries and servants; as sitters or models in the studio of a painter, or as assistants who bring building-materials to an architect” (p. 189). “And in this great outpouring which encompassed him, he saw the Dreamer at his work. For no hand, unaided, could do this; no intellect unaided could do this; Imagination alone could do this; and Imagination, looked into, revealed itself as uncompromising faith in Life, as faith in man, and especial faith in his wondrous powers” (pp. 235-36). Louis Sullivan’s literary style pays homage both to Herbert Spencer and to Walt Whitman. Claude Bragdon, an architect only a little younger than Sullivan, writes in the introduction of the Autobiography that Sullivan’s weekly articles to Kindergarten Chats were hidden by architects and read when the boss left (7). Sullivan’s writings influenced a younger generation, bestowing them with the artistic license to imagine and create. Today’s librarians need encouragement to imagine and create also. They can find this kind of support among the writings of many contemporary authors who serve as mentors for many. One author who leads by his example as a mentor is Will Weaver (2009) who writes novels for young adults. Imagining that he could write a better novel that appealed to non-reading teens or “guys who loved cars and hated their English classes”. He enrolled himself in a vocational college class on building car engines. The course instructor had a son named Skyler that fit Weaver’s target audience, and so Weaver convinced his publisher to fund a stock car that Skyler could drive as long as he met some prerequisites. The contract stipulated that Skyler had to earn “passing grades—and [maintain] good attendance”. Weaver had to tutor Skyler with his English homework, but with time Skyler improved his performance in school as well as on the race track. Weaver reflected on his role and involvement as a mentor, working to help without interfering too much (p. 193). He writes: “During that first summer, the biggest mentoring lesson beyond the necessity to be unfailingly optimistic-was the value of teamwork” (p. 194). Mentoring requires effort and cooperation, so librarians must be willing to work in order to succeed with any mentoring relationship. Incidentally, as with Weaver, imagination and creativity enhance the results. Each of Sullivan’s buildings stands as a monument to his imaginative and creative power, as well as supports his belief in individuals. Reading fueled his obsession with the individual. Thus, reading became a tool for constructing and modifying his personal mission statement about life and its inextricable partner art. Robert Darnton (1992) supports this interpretation: “For reading is not simply a skill but a way of making meaning, which must vary from culture to culture” (p. 152). Nineteenth-century American culture fostered the idea that reading could lift a person from the ghetto to a gentleman’s life. Reading left a lasting impression on Sullivan’s life, and his autobiography testifies of its lasting impacts (1956, p. 249), namely that it opened up worlds, inspired, educated, lifted, and challenged him. Sullivan identified lifelong learning through reading as a key to his professional success. It gave him access to his mentors. During the height of Sullivan’s career, he designed the Chicago Auditorium Building. This innovative building included newly designed hydraulic lifts for the stage. It also functioned as a theater, hotel, and office building. 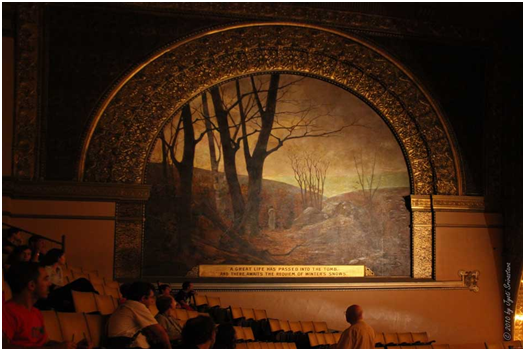 Within the theater, spectators can see two murals that represent two “stages of growth” (Sullivan, 1956, p. 255). Each was placed exactly opposite each other to highlight their thematically different subjects (Figures 5 & 6). In the mural titled Spring Song stands a solitary figure amid younger trees with a clear background and budding leaves. Autumn Reverie also shows a solitary female figure; however, this woman has her back turned to the observer and stands amid imposing trees, some of which have fallen, a boulder, and a darkened sky. Therefore, Spring represents hope, youth, growth, and the future, or “the unorganized simple” (p. 255) while Autumn symbolizes decay, nostalgia, and the past—Spencer’s concept of the “highly organized complex” (p. 255). 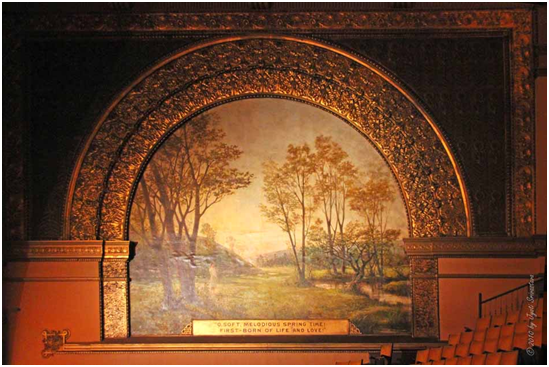 Spring Song and Autumn Reverie also symbolically represent Louis Sullivan’s architectural career. This paper showed that Sullivan’s career began with much promise, growth, and success. His autobiography claims that he read extensively, and the ideas the authors shared proved to influence his professional career. The books he read challenged his intellectual capacities as well as his dreams of becoming a great American architect, so he experimented on the words. The risk he took then became a solid foundation on which he could build more confidence. While working as an architect he mentored other architects, including the young Frank Lloyd Wright (1977) who writes about meeting Louis Sullivan for the first time and drawing designs in order to apply for work in his firm. Within his own autobiography he writes: “That was how I got into the Adler and Sullivan office, how I first met the master for whose influence, affection and comradeship I have never ceased to feel gratitude” (p. 114). He passed on the ideas from his mentors that captured his imagination, and at least of his protégés fondly referred to as a “master”. Professionals often commence their careers with hope and eagerness; it appears that Sullivan fostered these attributes in Frank Lloyd Wright and contributed to his growth as an architect. Autumn Reverie represents nostalgia, decay, and the past. Louis Sullivan could have regressed in his professional demeanor; however, he chose to write for his profession, sharing his ideas and experience. His Kindergarten Chats inspired the next generation of American architects (1960). Once these professionals had advanced sufficiently in their careers, they paid Sullivan the ultimate honor for the wisdom he shared with them. In 1944 the American Institute of American Architects (2012) posthumously awarded him the highest honor for an American Architect, bestowing the Gold Medal on him. Likewise, librarians need to share with each other the books that have captured their interest and influenced their careers. Inspiration that librarians gain from each other will increase creativity and imagination, resulting in widespread accomplishment within the profession. One-on-one mentoring and diligent reading both within and without the library literature will help librarians learn. For the profession to thrive, librarians must mentor the next generation face to face or through their writings. In this paper I have tried to explain how Louis H. Sullivan’s readings of Herbert Spencer, Hippolyte Taine, and Walt Whitman stimulated him to pursue his dream—becoming America’s architectural poet. First, Spencer’s writings in The Synthetic Philosophy provided him with ideas that placed the individual’s position above that of the society. Second, Taine’s writings provoked Sullivan to construct a personal aesthetic philosophy, namely one that trusted in the individual’s creative power and not in lifeless imitation. Finally, this paper looked at how Whitman’s realization of Emerson’s ideal poet in his Leaves of Grass instilled in Sullivan a desire to become America’s architectural poet. Reading rekindled that flame time and time again for Sullivan. Barbara Sicherman (1989) writes that reading experts endeavor to convince people that reading does not cause passivity; instead, the act of reading fills readers with ideas that arouse their interest or “desire” to do something (p. 216). Reading, and the large ideas encountered therein, inspires and ennobles individuals, increasing their abilities to achieve as professionals. Mentoring requires a belief in individuals and their ability to respond positively to challenges presented to them, and librarians can go forward in assisting the next generation. Spencer J. Jardine, Coordinator of Instruction/Reference Librarian, Idaho State University, Pocatello, Idaho. American Institute of Architects. (2012, October 30). Gold Medal award recipients. Retrieved from http://www.aia.org/practicing/awards/AIAB025046. Connely, W. (1960). Louis Sullivan: Shaping of American architecture. New York, NY: Horizon Press. Darnton, R. (1992). History of reading. In P. Burke (Ed. ), New perspectives on historical writing (pp. 140-167). University Park: Pennsylvania State University Press. Draper, J. W. (1876). History of the intellectual development of Europe. New York, NY: Harper. Emerson, R.W. (1900). The poet. Essays: First and second series. Mt. Vernon, NY: Peter Pauper Press. Keener, M., Johnson, V., & Collins, B. (2012). In-house collaborative mentoring. College & Research Libraries News, 73(3), 134-146. Long, E. (1993). Textual interpretation as collective action. In J. Boyarin (Ed. ), The Ethnography of Reading (pp. 180-211). Berkeley: University of California Press. Sicherman, B. (1989). Sense and Sensibility: A case study of women’s reading in late-Victorian America. In C. N. Davison (Ed.). Reading in America: Literature and Social History (pp. 201-225). Baltimore, MD: Johns Hopkins University Press. Siry, J. M. (2002). The Chicago auditorium building: Adler and Sullivan’s architecture and city. Chicago, IL: University of Chicago Press. Spencer, H. (1889). The epitome of the synthetic philosophy. F. H. Collins, (Ed.). New York, NY: D. Appleton. Sullivan, L. H. (1988/1889). The artistic use of the imagination. In R. Twombly (Ed. ), Louis Sullivan: The public papers (pp. 62-67). Chicago, IL: University of Chicago Press. —. (1956). The autobiography of an idea. New York, NY: Dover. —. (1988/1891). The high building question. In R. Twombly (Ed. ), Louis Sullivan: The public papers (pp. 76-79). Chicago, IL: University of Chicago Press. Taine, H. (1971/1875). Lectures on art. Trans. by John Durand. New York, NY: AMS Press. Twombly, R. (1988). Introduction: The form and function of Louis Sullivan’s writing. In R. Twombly (Ed. ), The public papers (pp. xi-xxii). Chicago, IL: University of Chicago Press. Weaver, W. (2009). If you give a kid a ride: Stock cars, novels and mentoring. Voice of Youth Advocates, 32(3), 192-195. Whitman, W. (n.d.). There was a child went forth. Leaves of grass (pp. 328-330). New York, NY: Heritage Press. Zander, R. S., & B. Zander. (2002). The art of possibility: Transforming professional and personal life. New York, NY: Penguin Books. FIGURE 1: Portrait of Louis Sullivan. 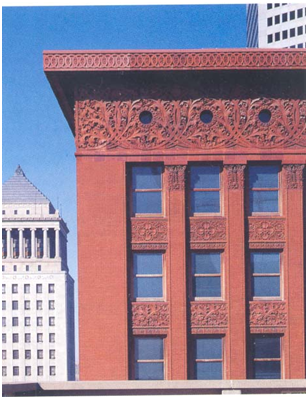 FIGURE 2: Guaranty Building. Buffalo, New York: Adler and Sullivan, 1896. FIGURE 3: Wainwright Building. St. Louis, MO: Adler and Sullivan, 1891. FIGURE 4: Bayard Building. Manhattan, NY: Louis Sullivan, 1899. FIGURE 5: Chicago Auditorium. Spring Song. Chicago, IL: Albert Fleury, 1889. Photo by Jyoti Srivastava (2010): http://chicago-architecture-jyoti.blogspot.com/2010/07/auditorium-theater-interiors-murals.html. Image used with permission. FIGURE 6: Chicago Auditorium. Autumn Reverie. Chicago, IL: Albert Fleury, 1889. Photo by Jyoti Srivastava (2010): http://chicago-architecture-jyoti.blogspot.com/2010/07/auditorium-theater-interiors-murals.html. Image used with permission. 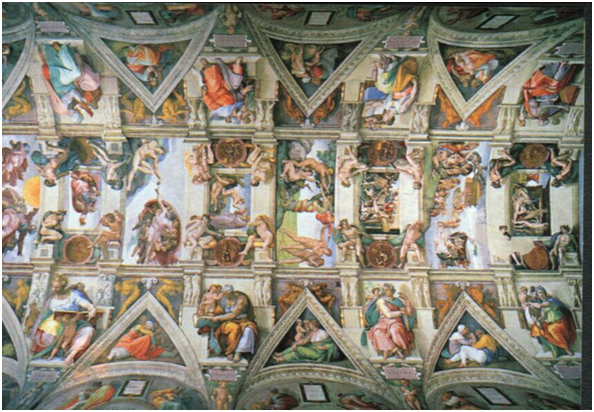 FIGURE 7: Sistine Chapel Ceiling. Michelangelo Buonorotti. Vatican: 1508-1511. FIGURE 8: Last Judgment. Michelangeolo Buonorotti. Vatican: 1534-41. Idaho’s public libraries are often the first stop for legal information seekers. Over thirty years ago, Leone (1980) noted the increasing numbers of self-representing or pro se litigants performing research in public law libraries and addressed malpractice liability concerns for law librarians serving those patrons. Although librarians have continued discussions about the ethical and professional aspects of answering reference questions concerning legal matters, Harrell (2008) suggests that law librarians, at least, can be proactive in making necessary adjustments in their collections and services. Although librarian liability may not be a huge threat, the role of a librarian in responding to a patron is limited by ethical and professional constraints (Condon, 2001; Dugan, 2001). Librarians may not ethically offer legal advice. However, as Healey (2008) points out, “… there are no clear standards with which to determine what constitutes legal advice.” Healey goes on to provide a short list of activities that most law librarians try to avoid: “Interpreting any term, statute, or case; suggesting search terms or topics; advising users about what kind of law to look for; selecting, discussing, or assisting with any forms; agreeing or disagreeing with any legal opinion or argument made by a user (Healey, 2008). Fortunately, many libraries have been able to link to online services and acquire published resources to meet patron needs without asking reference librarians to practice law without a license. Law Librarians have addressed the need both with recommendations for library websites (Sims, 2004) and bibliographies such as the Guide to free online legal and legislative resources (Cramer, 2002). The demand for self-help legal materials also resulted in Nolo Press, Sphinx Publishing, and other similar publishers creating numerous legal how-to popular press books. Many of those publications are extremely well-written by attorneys who are experts in the applicable field. Unfortunately, few mass market books address Idaho law. The needs of self-represented litigants are an even larger problem for the courts. According to the Court Assistance Office (CAO) Project website, some counties in Idaho are currently reporting that eighty percent or more civil cases–especially family law cases–involve self-representation (Court Assistance Office, 2012). By the end of the last century, state courts throughout the country began to address the problems posed by shrinking budgets and increasing numbers of pro se litigants. In 1999, the Idaho Supreme Court joined that movement, creating the Courthouse Assistance Office as a pilot project. The Office took on the responsibility of assisting court clerks with responding to the legal procedural needs of self-representing citizens who were attempting to navigate in Idaho’s state court system. The Office places staff in every judicial district, and it maintains kiosks with over sixty brochures in county courthouses and in public law libraries. Since 2001, the Office has been funded by the Idaho Legislature. More recently, the Office created a website. The website is intended to provide “tools and information for people who want to represent themselves in court, or who are unable to afford an attorney and would otherwise be unable to get their day in court” (Court Assistance Office, 2012). The website offers an assortment of resources, including forms, publications, an attorney search page and legal services directory. Two of the tabs on the CAO page are of particular interest to librarians. Many library patrons are simply seeking the legal forms that are appropriate to their needs. Lists of linked forms are found under the “Forms” tab. In addition, over seventy brochures and booklets are listed under the “Publications” tab. Clicking on the individual titles links the user with PDF copies of the same brochures provided in courthouse kiosks. Many of the Court Assistance publications are remarkably clear, helpful, documents that Idaho citizens can use to address their legal questions. For example, the titles include: Divorce, Property and Debts: Things You Need to Know; Landlord & Tenant’s Rights and Responsibilities; So You Want to Bond Someone Out of Jail; and Bankruptcy Basics. Publications not authored by Court staff have been prepared by reliable sources such as Idaho Legal Aid or the Idaho Trial Lawyers Association. A number of the pamphlets are available in Spanish as well. The Court Assistance publications could be extremely useful to Idaho’s public library patrons. However, even though the Court Assistance publications are readily available in county courthouses and public law libraries, they have not been promoted to public or academic libraries. Because the publications are online in PDF form, they are available to anyone who has Internet access. In an effort to promote the publications, a librarian at the University of Idaho created OCLC catalog records for all of the Court Assistance PDF publications. By downloading the catalog records, a public library can add the entire collection of Court Assistance publications as e-resources. A list of the publications and their associated OCLC record numbers is appended to this article. Idaho’s Court Assistance Office is a valuable resource for assisting self-representing litigants in Idaho’s state courts. Public libraries can perform a valuable public service by making these resources available in libraries as well. Attaching holdings to the new OCLC catalog records and incorporating the Office’s publications in library catalogs will bring these well-written and reliable resources to the attention of public library patrons. Condon, C. J. (2001). How to avoid the unauthorized practice of law at the reference desk. Legal Reference Services Quarterly, 19(1), 165-179. Cramer, J. (2002). Reference Services Review, 30(2), 150-159. Duggan, J. E. (2001). Patrons and the PC: What problems should reference librarians solve?. Legal Reference Services Quarterly, 19(1), 5. Healey, P. D. (2008). Professional liability issues for librarians and information professionals. New York: Neal-Schuman Publishers. Leone, G. (1980). Malpractice liability of a law librarian? Law Library Journal, 73, 44-65. Sims, L. (2004). Academic law library web sites: a source of service to the Pro se user. Legal Reference Services Quarterly, 23(4), 1-28. TITLE FROM COURT ASSISTANCE WEB PAGE OCLC NO.